The Internet of Things (IoT) is the interconnection of uniquely identifiable embedded computing devices within the existing Internet infrastructure. However, securing it can be difficult. 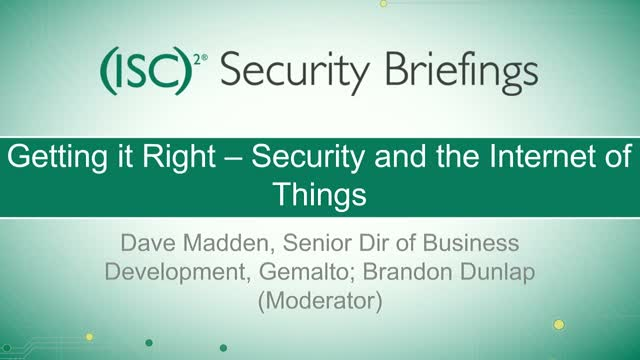 Join Gemalto and (ISC)2 for a discussion on the Internet of Things and how it will play a role in your future and what changes will be happening in security.